In January of 1948, the pastor of the Alexandria First Baptist Church, Rev. 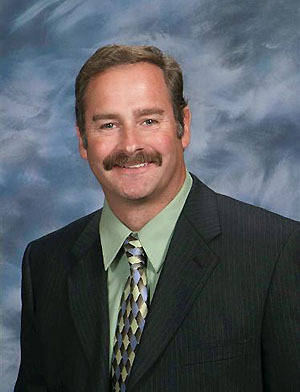 Roger Youngquist, began Thursday evening Bible study and prayer meetings in various Glenwood homes. 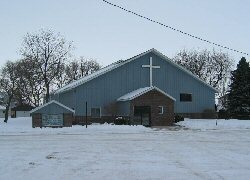 A survey was conducted and the results showed there were a number of people in this area interested in starting a Baptist Church in Glenwood. On May 16, 1948, the first worship service was held in the Glenwood Township Hall. On August 19, 1951, the church was organized with 15 charter members. Land was purchased and groundbreaking for a church building occurred August 15, 1954. The first worship service in the newly constructed building was on Easter Sunday, 1955. 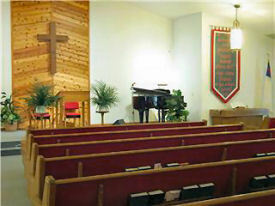 The new sanctuary was opened and dedicated as we celebrated our 40th anniversary on June 23, 1991. We are a part of the Minnesota Iowa Baptist Conference. 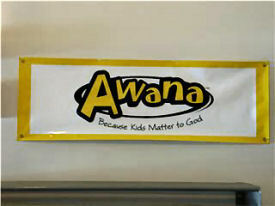 The Awana program began on January 25, 1984, and has been going strong ever since. We are blessed to be able to minister to the children who attend in our community. The year begins in September and ends usually in April, meeting every Wednesday at 6:30 p.m. until 8:00 p.m. Studying the Word of God is very important part of our church. .
Cathy Wenz - Bangkok, Thailand. Marv and Marie Bjorklund have served in South Africa since 2002, and we began supporting them in 2008. They have a heart for the people and do a tremendous work there. Marv and Marie work with Place of Hope Africa (POHA) and their mission is to provide a facility with care givers (a place of safety) that would provide shelter to abandoned, abused, and neglected children. This ministry is native missionary supported for reaching the main stream Indian population with the gospel of Jesus Christ. The church in India is under extreme persecution and death threats for all missionaries. We need to pray for their safety and financial support as they fulfill God's commandment of reaching the world for Christ. The ministry to which we are privileged to be called was initiated in 1952. Art Holmes began Bible Studies that eventually became worship meetings. Ed Viren helped out and in 1957, Wally and Shirley Olson moved to The Nett Lake Reservation to formally establish the ministry. For the next 50 years, Wally and Shirley devoted their lives to serving Jesus Christ by engaging with Native people through much of Northern Minnesota and southern Ontario. We met them through a short term mission experience to Lac LaCroix in 1986. We became supporters of the various missions ministries to Native people with which Wally was involved. Eventually, we were called from a career in education to serve Jesus Christ at Nett Lake. We arrived at Nett Lake in 2003. Our mission is to develop the indigenous church through Bible instruction, pastoral care and relational evangelism. We are building on the legacy of those who have gone before us in faith. We trust in God's will to be used for Him to see Native people come to a personal relationship with Jesus Christ. The spiritual warfare can be extreme. The loss of our daughter to cancer in 2007 has been difficult. We are lifted up by the prayers of many to live an authentic life of faith that reveals the truth of Jesus Christ. Rollie and Rachel left Glenwood in April 2010, to serve At Camp Oaks Hills in Bemidji, Minnesota, to help restart a Bible camp, working in maintenence, registration and many other capacities as needed there. There is a lot to maintain at such a facility such as building and winterizing cabins, working on boats, camp registrar and crafts! Rollie and Rachel are our newest missionaries in camp ministries for children. For the last nine years Cathy has shared her life and her love of Jesus Christ through teaching, mentoring, leading and serving at the Santisuk English School and Peace Fellowship Church in Bangkok, Thailand. She teaches evangelistic English classes primarily to Thai university students and working adults. 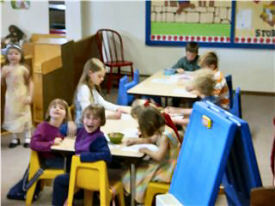 Cathy uses the Bible as the reading text in her curriculum and has taught more than a 1000 different students. She says it's a joy to be able to give her students an opportunity to learn about Jesus and respond to Him!